Do you want your memory to improve? Do you want inflammation in your body to subside? Do you want to feel and act younger? Do you want to have more energy in your day? Do you want your day to be more productive? Do you want to significantly slow down the body’s aging process? Do you want to strengthen you immune system? Do you want to reduce your risk of illness? Do you want to strengthen your body’s natural defenses? Do you want to detoxify your body? Do you want to protect your body from the man –made chemicals, pesticides, radiation, and many toxins that you are exposed to daily? Do you want to strengthen your natural hormones? 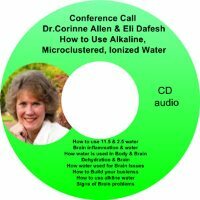 Do you want a way to immediately neutralize food and environmental toxins upon exposure? Glutathione, Max products support the brain chemicals, the immune system and endocrine or hormonal system in a way which recreates what you had when you were 20. Glutathione levels decline 8% to 12% per decade beginning at age 20. The graph below shows the increase in glutathione levels experienced by 4 groups of people. 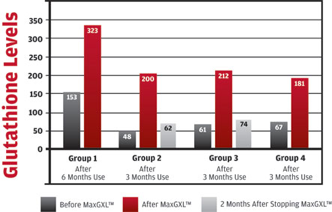 Group 1 was tested after 6 months of use, while Groups 2, 3 and 4 were tested after only 3 months of the MaxGXL regimen. LOW LEVELS OF GLUTATHIONE MAKE ONE SUSCEPTIBLE TO CHRONIC ILLNESS. Glutathione levels decline 8% to 12% per decade beginning at age 20. We need Glutathione for a strong immune system, but a weakened immune system has insufficient production of glutathione. Supplements with Glutathione alone cannot increase the body’s GSH levels because the digestive system breaks down ingested glutathione. It cannot be absorbed into the system in the form of glutathione directly from a supplement. But taking the patented formula of Max products™ aids in the liver being able to destroy environmental poisons and giving the liver the ability to function as it should as the main production site and storehouse in the body of glutathione. Max products™ provides the proper nutrients needed to promote the body's own ability to manufacture and absorb glutathione. Max products™ also aids in liver support, thus helping the liver to function as the main production site and storehouse for glutathione. Glutathione alone cannot increase the body’s GSH (glutathione) levels because the digestive system breaks down ingested glutathione. It cannot be absorbed into the system in the form of glutathione directly from a supplement. But taking the patented formula of Max products™ aids in the liver being able to destroy environmental poisons and giving the liver the ability to function as it should as the main production site and storehouse in the body of glutathione. As a cell metabolizes it take in glucose in the presence of oxygen. It utilizes the glucose to fire up the engines in the cell. Oxygen burns and every time it burns you are left with an antioxidant, you suffer consequences. The burn from oxygen will leave you with cell damage, premature cell death, increased cell death and dysfunction of whatever organ that is involved if you don’t counter the effects of the antioxidant that oxygen leaves after if burns. How Lack of Sleep affects us? These put an unbelievable stress on your immune system. Is less and less of a reality in today’s world. Even those who eat organic food are going to get food that has toxic metals, and overspray from the farmers toxic crops next to the organic crop. The less we keep up with the amount of free radicals, toxins and poisons, the faster we age. Young people think that because they are still in their 20’s and 30’s that they are healthy if they feel well. All these contribute to a low level of inflammation. When we are in our 50’s we know that we can’t do what we did when we were younger. How ATP, Glutathione, Antioxidants Keep our cells vital. ATP is adenosine triphosphate or ATP. The key circuit for every cell in every part of the body is a substance called ATP. The more ATP a cell makes, the better it will work. As we burn ATP we have to deal with the oxidation that this burning leaves. If you don’t deal with if effectively then the next chemical reaction cannot be as strong as the first one. If you don’t deal with oxidation that is the aftermath of the burning of ATP then the next chemical reaction cannot be as strong as the first one. If the cell has the components (glutathione) that will make ATP then it will function efficiently. The cell will have more efficient chemical reactions and the cell will live longer. Oxidation is equal to rust. If oxidation process is not neutralized with an antioxidant we produce rust. · Rust in the brain is called Alzheimer’s disease. · Rust in the liver is called sclerosis and Cirrosis. · Rust is equal to inflammation in the body. · Rust in the pancreas is called Diabetes. Getting energy efficiently in the body. In order to get energy we need antioxidants. There are different antioxidants that have been discovered such as Vitamin C, Vitamin E, and number of others. But the top antioxidant is glutathione. The other antioxidants actually work by either protecting glutathione from having to be used in other oxidative reactions that are occurring elsewhere in the body outside the cell or by allowing glutathione to be more prevalent inside the cell. Glutathione’s primary function is to protect those oxidative reactions or quench those oxidative reactions during the respiratory chain. The result is productions of ATP- energy and a healthy functioning cell. The more glutathione the more ATP is produced. How Oxidants, free radicals harm our bodies? In congestive heart failure there is an inability of the heart to pump appropriately the amount of blood, the amount of oxygen, the amount of nutrients that get to the cells is reduces, sometimes by a significant amount. Then the body can’t produce the ATP because the cell is not able to produce the ATP cause it cannot receive what it need to produce it. Persons with Congestive heart failure have a very hard time with energy and endurance. Sometimes even getting from the table to the bed is hard. The reason is they don’t have the nutrients or the glutathione required o product the ATP necessary for that cell. That cell might be a muscle, brain, heart, or whatever it has no energy to function. Any Lack of Energy is a Lack of Glutathione. We all suffer at some time or another chronically or periodically from lack of energy. This means that our ATP is not firing well. That means that it doesn’t have adequate amounts of glutathione. The glutathione is the anti-rust protectant. If you bring up glutathione levels to where they should be you will stop the process. You have the power to stop it wherever you want it to stop. Why would God make Glutathione the most prevalent amino acid substance in the human body? Antioxidants take care of the products of oxygen burning. Some take care of the products of nitrogen burning. Some take care of the products of hydroxyl burning. These are all different radicals. God made one, glutathione, to take care of all of these needs. Glutathione deals with extreme fatigue. Those who suffer from low energy, lack of mental focus, can’t get out of bed in the morning, or have to go back to bed in the morning, or take naps. Dr. Keller, oncologist, endocrinologist, hematologist,in his research found that glutathione depletion was universal in illness and fatigue. How can I get tested for Glutathione levels? There was no clinical test for glutathione levels before Dr. Keller developed his own. It measures the glutathione in lymphocytes. So when he was able to formulate a product that markedly improved the body’s own production of glutathione he was able to prove it clinically. He also patented this formula. How to feed the cell energy to get energy and health? In every cell glutathione allows products of ATP. ATP is fuel for every cell. If you don’t have any gas you won’t work. Glutathione, in the form of Max products is high octane fuel for the cell and production of ATP. For brain cells you will have less senior moments. For Heart cells, you can pump blood efficiently, in fact 100% efficiently. Liver, will detoxify everything that you come in contact with that wasn’t intended to get into your body if you have more ATP. · ATP needs more glutathione to produce any energy. 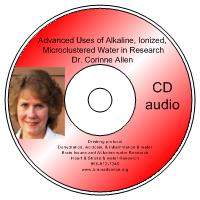 · ATP aids the removal of all toxic elements much more quickly. If the cells in the adrenals are working at 100% instead of 50% you will produce a lot more hormones. This is accomplished by replenishing the glutathione. Get the ATP production to its maximum and the function of any cell in the body will be better regardless of what is does. What are Max glutathione products? It is a product that provides the ingredients that they body can make glutathione easily. One such ingredient that is used is Cordyceps . The cordyceps is a mushroom which synergizes with glutathione itself or the components that create glutathione in an unbelievably simple way. What Do Max glutathione products do? Why don’t supplements of synthetic glutathione pills do the same thing in regenerating and activating the ATP in the cell? Glutathione is destroyed by the acid in the stomach. We can’t eat foods that give us enough glutathione. The body’s loses its natural ability to make enough glutathione to handle the increase in toxins in our bodies as we age. How Do I get enough Glutathione? I cut down on the necessity for glutathione by getting 8 hours of good sleep. I eat a good diet rich in organic fruits and vegetables. But it is not possible to get from diet or even with enough sleep the amount of glutathione that our bodies need as we get older and are continually exposed to so many toxins. Dr. Keller’s MaxGXL is a product formulated to help the body make more glutathione. So it doesn’t provide it from the outside it gives your body what it is missing to make high levels of glutathione. 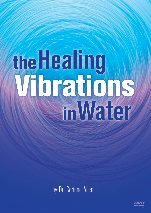 Absorption is not a problem because your body is producing it, not an external source. When Should I take Max products? The best time is in the morning and after lunch. If you feel your body out of balance you can take more. Do not take it within 3-4 hours of going to bed because it keeps the body working when you want to sleep. After taking if for a month or more you can try taking it before bed for deeper sleep. Who can benefit from Max glutathione products (Max One and MaxGXL)? Those who get 8 hours of sleep every night, do not have stress, are not exposed to oxygen in the cells, are eating perfectly . If that defines you, then maybe you can do without Max GXL. If you do not get 8 hours of sleep every night, have stress and anxiety and are not eating a organic and natural diet than YOU WILL BENEFIT FROM TAKING MAXGXL. How fast can I see some results? Dr. Keller reports that when he worked with people who are ill in his clinic the changes came within a day and sometimes even quicker than. Some who have only minimal rusted pipes may not experience any real change. However, once they stop it, the change that you didn’t think you experienced will then occur in a very negative way. Stay on the product for a month or two and then if you decide to go off it for a week you will notice all kind of things. Dr. Keller says it will work in everyone. Everyone needs glutathione. Most don’t feel or identify that they have a deficiency in glutathione, but because science has proven that as we age we lose glutathione, it is a must that those who want to slow down the aging process take glutathione. What Can Max Glutathione do for me? It has the ability to stop the rusting process wherever you are. If you wait until the rust is already beginning to pit, it will stop you from getting more. It helps with mental acuity. People report thinking better. They can remember better. There is a marked improvement in person’s ability to do things. During the day there is more energy and thus more is accomplished. There is more ability to be able to do things that you want to do and not have to worry as they did before. People report an increased ability to re-enter life. Quality of life increases. When glutathione is low the quality of life if low. Glutathione is an essential element of age management because it stops the rust from occurring and impacts inflammation on all levels. Inflammation is a process that goes on day to day in your body an obligate result of hot having enough antioxidants around and from that free radicals increase the inflammation. Atherosclerosis, osteoporosis, Alzheimer’s Parkinson’s, stroke, heart attack, cirrhosis, renal disease, diabetes are just a few of those diseases which have in their beginnings an inflammatory response that hasn’t been taken care of. Max GXL turns down the central figure for inflammation which is called nuclear factor kappa beta. Cordyeps also helps. Good nutrition improves the functionality of the cell and reduces the damage that we’re exposed to on a daily basis . Max products functions to do both. Dr. Keller believes that is we were to use Max a lot of these diseases of inflammation would be reduced. RETAIL: $95.00 for a 28-day supply. Contact the person who introduced you to the product. WHOLESALE: $75.00 for a 28-day supply plus $9.95 shipping for the order. You may order more than one box per order. You have two options if you want to purchase it wholesale. You can become a Preferred Customer or an Associate Member. Whole sale Loyalty program: If you become a wholesale customer and purchase the product of Max One or Max Gxl for 3 continuous months you will receive a $15.00 discount on each product. Choose the number of bottles you want and the date you want your auto ship sent. That’s all you do. The product will arrive shortly. If you signup as a preferred customer for 3 months the product is only $60.00 bottle, regularly $75.00. This is a real savings. Pay a sign-up fee of $49.00 (This allows you to participate in the sales team and receive bonuses on what you and your team purchase.) You can then purchase various product packages. See the web for details. Click on ENROLL at the top of the webpage and follow the prompts. Pay $49.00 for the membership and choose the quantity of products you wish to order. The Quality of Life is Low!